Picking a reel based on something other than cost is a daunting task. I have asked many salesman the difference between two reels and the number of intelligent responses is limited. So here is some useful information about reels for the next time you go shopping for a great catfish or carp reel. 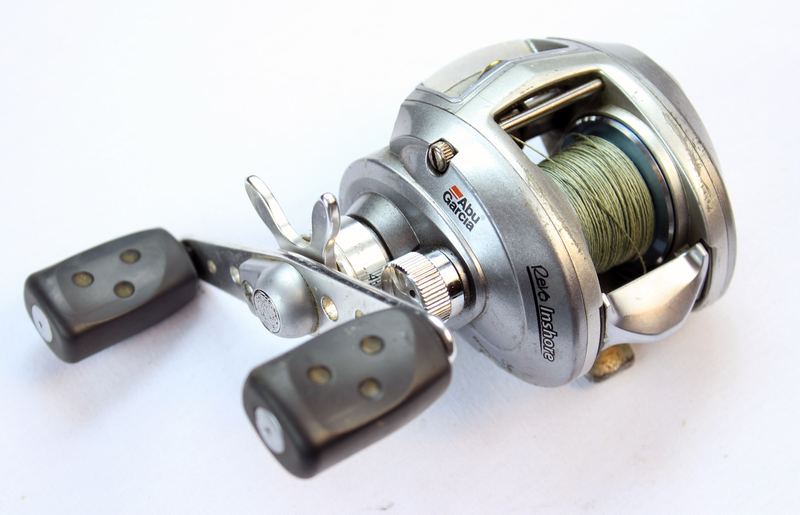 Daiwa Windcast X, spinning reel. A spinning reel has a stationary vertical spool and a bail arm that wraps line around the fixed spool. A bait-caster has a horizontal spool which spins. there are also the closed face reels made popular by Zebco. These are the reels with the domed cover over the spool and the button you push to cast. Its also the type of reel comely found on Barbie fishing rods and other novelty kids rods. I don’t recommend these types of reel even for kids. If you are beginner fisherman get a spinning reel, period. And in the right hands with the right tuning they can throw lures slightly farther. Requires a bit of skill to avoid backlashes (or tangles) every time you cast. Whether you choose a bait caster or spinning reel, make sure you match it to a rod that is designed for a spinning or bait casting reel. When shopping for reel line capacity is one factor to examine. Most reels will store way more line then you will ever need but here are some ways to calculate how much line you will need. Take your maximum fishing range and then add about 80 yards. The additional 80 yards is in case you hook a massive fish which strips 80 yards of line off your reel. This is not likely unless you are fishing in open water and have gear that is very undersized. For boat rods you shouldn’t be casting or trolling more than 75 yards and shouldn’t need more than 145 yards of line. For a medium length rod (5-7 feet long) you won’t be casting more than 100 yards at the absolute max. and so 180 yards of line is about all you will need. For long distance rods (8 to 13 feet) 200 yards is an amazing casting distance only achieved by experienced casters with the highest quality gear so 280 yards is as much as you should need. However if you fish using bait boats or like to kayak your gear out into the middle of the lake then there is not limit to how much line you may need. But just remember to add 80 yards to what ever distance you fish at. Whatever amount of line you need, fill your reel’s spool up to the maximum for optimum casting distance. Partially empty spool put more drag on the line when casting then a full spool. The weight of your reel effects the comfort of the rod and reel. A reels weight should balance the rod out so that casting seems effortless. A ultra light rod made from the best composite materials will feel unnatural in your hand if you strap an overly hefty reel to it. Likewise a a heavy rod with a light reel will have not have the necessary counterbalance and you’ll have to use more force to swing the rod. 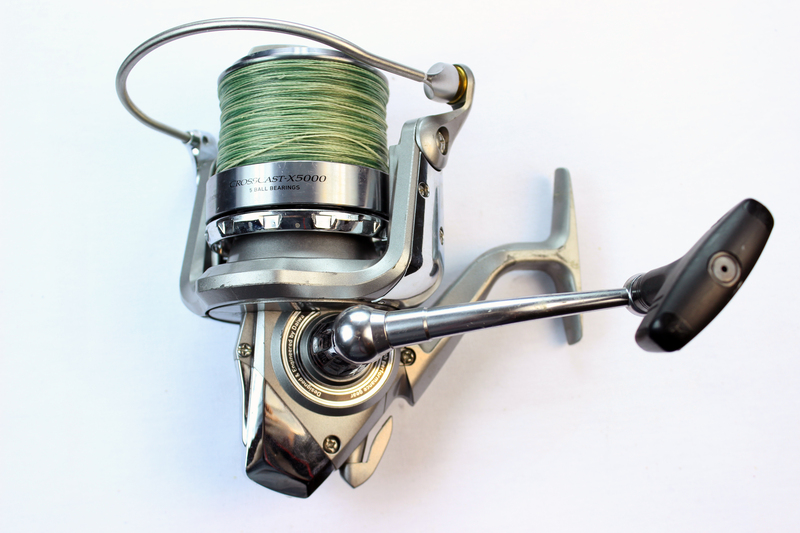 The maximum drag of a reel is rarely advertised but it is very important. The max drag of the line affects the maximum pulling strength of your fishing gear and the necessary max line weight of your rod. A reel with too high of a drag can break your rod if paired with too thick of line. A reel with too little drag wont’ be able to handle big fish. Most freshwater spinning reels produce less than 20lb’s of drag. But beyond the brute strength of the drag the smoothness of the drag matters. A jerky or sticky drag can break line when fighting a fish right at the edge of the reels performance. Quality drags should be more durable as well. A bite and run reels (aka: Bait Runner reels) are reels with two sets of drag front and rear drag. The front drag is used to fight fish and the rear drag is used while waiting for the fish to strike. Bait runner reels have a clutch/switch which activates the different clutches. 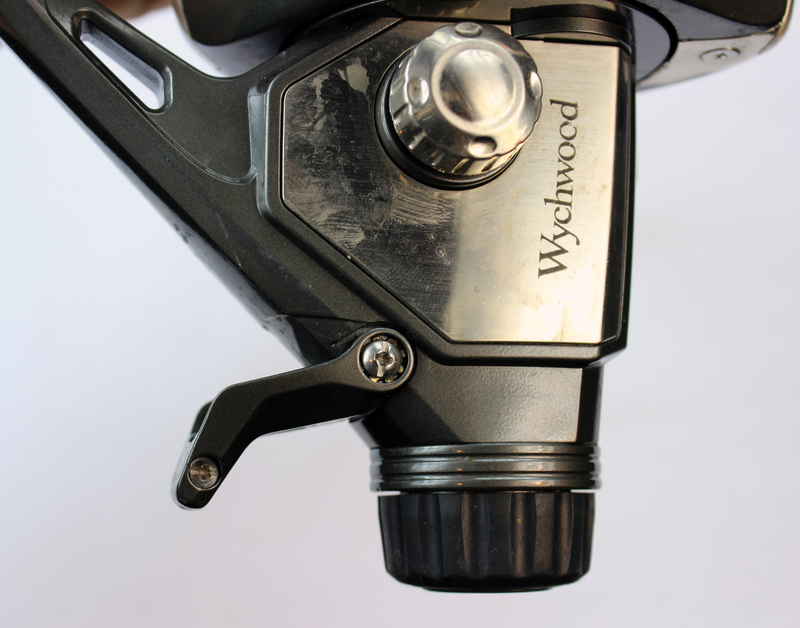 Most bite and run reels will change from the rear drag to the front drag instantly when you turn the handle of the reel. You need the drag set low while your rod is sitting in a rod holder on the bank because if a big cat or carp grabs your rod and the drag is on much at all the rod will go flying into the water. Without a bite and run reel a bait fisherman is constantly setting and unsetting their drag each time they pick up their rod. Bait runner reels are fabulous because they allow you to preset your front drag to the perfect amount and then preset your rear drag to a specific amount and then switch immediately between the two with out messing with them. Most spinning reels are front drag: meaning that they have the drag knob on the top of the reel. 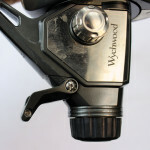 A rear drag reel has the drag knob on the bottom of the reel. Front drag allows more space for larger diameter drag washers which means more powerful, smoother drag. The down side is that the line can get in they way when you try to adjust the drag while fighting a fish. Rear drag is ergonomic and easy to access during a fight but it tends to be weak and jerky. Rear drag is less common and harder to find in most reel models. Bite and run reels have front and rear drag which you can select at will as the situation demands. Bait caster reels biggest flaw is that they need braking systems to slow the spool down during a specific point in the cast to prevent the spool from becoming ridiculously tangled. Baitcaster braking systems apply varying brake force as the lure flies through the air. To tune a bait caster you turn off the centrifugal and magnetic brakes systems and then adjust the line tension until the lure falls slowly to the ground. Then activate the centrifugal brakes one at a time until you get no back lashing (tangles) at the beginning of the cast. Then increase the magnetic brake system until you no longer get backlashes at the end of the cast. Adjust each time you change lure weights, line or rods. Serious changes in wind can also require tuning adjustments. 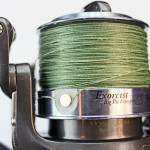 Wychwood Exorcist Big pit spool with heavy duty line clip. Bit pit reels are spinning reels with large diameter spools. The large diameter means less friction as the line comes off the reel, which is helpful for long distance casting. The larger spool are less likely to tangle when casting with a lot of force. These reels also generally hold more line capacity. These are the reels of choice for a rod 10 feet or longer. Some big pit reels have heavy duty line clips. Line clips are used to keep line from unraveling when the reel in being stored but they are also used to help a fisherman cast an exact distance. When you want to cast the same distance every time, you put your line in the line clip and reel in. The next time you cast, give it a little bit extra force and when your weight gets to the same spot as before the line will catch on the line clip and stop your hook at the same spot every time. Unclip your line when fishing, reclip before recasting. Line clips are invaluable for spodding, method feeding, and trying to get your line as close to a snag as possible without letting it go the one foot too far. A heavy duty line clip is important to prevent the line clip from breaking off when the line got taunt. The gear ratio is how many turns of the spool do you get with one turn of the reel handle. Gear ratios generally run from 4.0:1 to 7.0:1 If you are casting really far or is you are lure fishing then a high gear ratio and loads line retrieval is an important. You want to retrieve a lot of line with each turn of the handle. Lower gear ratio is nice when hauling in big fish because it provides more torque on the handle. For cat fishing and carp fishing a 4.1-5.1 gear ratio is fairly standard. Ball bearings make a reel feel really smooth and stable. They are aggressively featured on a lot of reel advertisements but are not perhaps the most important feature. The quality of the ball bearing is often more important than the number of ball bearing. Reels get sand, grit and rust in them if you don’t take care of them. Unfortunately I never do so I have ruined a lot of reel. If you drop your reels in the sand, water, mud ect. getting a reel that is corrosion resistant is a plus. Salt water reels almost always have superior corrosion resistance. What makes a reel more corrosion resistant is the material used in the components and the quality of the seals around the reel’s seams. Brass, titanium, carbon and aluminum components are strong and corrosion resistant. Have a quality seal, like the Daiwa magnetic oil seals, is another way to keep foreign substances and objects out of the reels housing. A truly corrosion resistant reel can be very expensive. Being careful and rinsing off your reel is a lot cheaper. Spinning reels and bait casters don’t always put the line onto the reel perfectly even. Over time the line can clump on the ends of the spool on one side. This leads to tangles and reduced casting distance. A quality reel will put the line on evenly again and again. When shopping for a reel pick up the highest quality reel you can and turn the handle while you watch the bail arm or the level wind eye. Watch as it gets to the end of the spool and then changes directions. A quality reels bail arm or level wind eye should change directions without any change in speed. A cheap reel will hesitate ever so slightly. That hesitation will mean that more line piles up at the end of the spool and that will cause you problems with tangles. Before buying a reel, turn the handle as if reeling in a lure and then suddenly switch direction. How far does the handle reverse until it stop. That is the play in the reel. A quality reel with stop immediately upon reversing directions, a cheap reel’s handle may make a 1/4 turn backwards before it stops. This is important in setting the hook. You don’t want that give when you set the hook. I am a sucker for spare spools. A reel that comes with an extra spool is really nice. You can put braid on one spool and mono filament on another. Or you can put different strength lines on each spool. 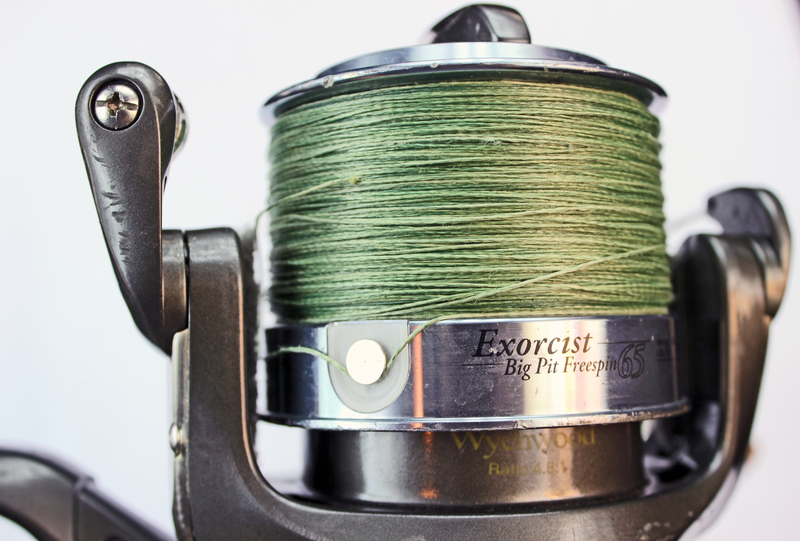 An extra spool lets you switch lines on the river bank or acts as a back up if you have a catastrophic line tangle in the middle of your fishing trip.